Is it possible to colonize and terraform Mars at the same time? 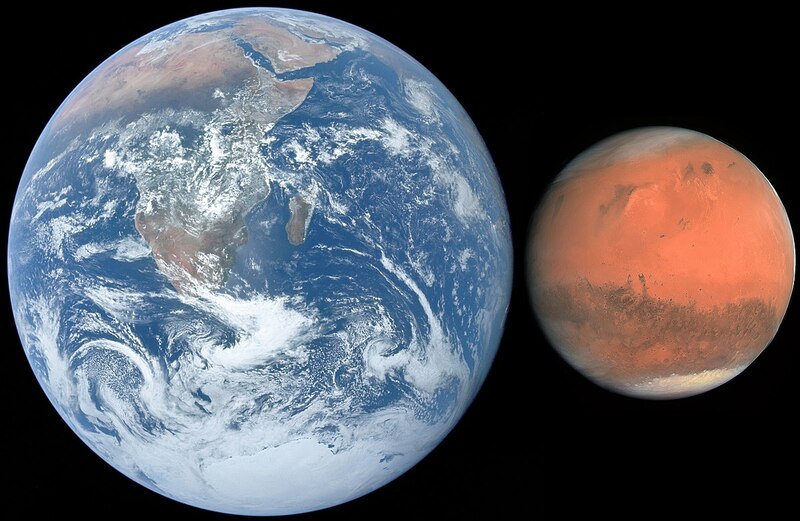 Mars, Earth size comparison by NASA. Licensed under Public Domain via Commons. Can you postulate a method to begin colonization and terraforming simultaneously, or would humans have to wait the (presumed) hundreds—if not thousands—of years for the planet to be fully habitable? In principle, there is no reason why humans couldn’t start colonizing Mars right now (assuming there was enough money to do it). As you may be aware, there is a good number of projects to build Martian bases and habitats, and even simulations are being conducted to study how people would cope living together in tight quarters on the surface of Mars (see, for example, http://hi-seas.org/). Terraforming Mars so that people could walk around its surface without a space suit would be a very long-term project, taking hundreds of years, as you mention. My guess is that colonization would occur faster than terraforming, if it is decided that the latter should be done. But I also think that other questions will have to be considered: do we really want to transform Mars? What if we discover that there are native organisms there? Do we want to keep the planet sterile, so that we can gather as much information as possible about its biology, and in that way understand how life on Earth appeared, and how it might have evolved on other planets? Or should we just go ahead and make Mars our way, for the benefit of future generations of humans? This is a large and fascinating problem. I recommend the book “The Case for Mars”, by Robert Zubrin; it has a chapter on terraforming Mars. It’s rather technical, but it gives you an insight into what would be necessary to make Mars more like Earth. Also, bear in mind that the book is a little dated, and it’s written from an engineering perspective. I hope this gives you some pointers. Feel free to ask more questions.